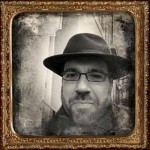 I’m David McKenzie, a digitally-inclined public historian working to connect people with the past and its continuing relevance. This website serves as my blog, containing mostly course-related and dissertation-related material, as well as an evolving portfolio of my work. I work full-time as Associate Director for Interpretive Resources in the Education Department at Ford’s Theatre. Broadly, I am responsible for the Ford’s Theatre Society’s on-site and online historical and educational content, including, as of September 2016, the exhibitions in the Center for Education and Leadership. Currently, I am working with my colleagues on prototyping ideas to engage on-site visitors, particularly students. I’m also actively involved in planning the future of on-site interpretation in various forms of media. I am the project manager for the award-winning Remembering Lincoln Digital Collection, which brings together primary source responses to the Lincoln assassination from around the United States and the world. I also am project manager for Ford’s Theatre’s presence on Google Cultural Institute, which brings users to Ford’s virtually and connects them with thematic stories and individual artifacts. I helped guide content development of the “Lincoln’s Assassination” and “For Teachers” sections on the Ford’s Theatre website, and am responsible for maintaining, augmenting, and updating content in those sections. Additionally, I write frequently for the institutional blog, co-directed a summer teacher workshop in 2015, and served on the team that formulated the institution’s digital strategy. I’m also a Ph.D. candidate in the Department of History and Art History at George Mason University. I’ve passed my qualifying exams in my major field, United States history (with distinction), and my minor fields, Latin America & the World (with distinction) and digital history. I particularly focus on North America in the late 18th and early 19th centuries. My dissertation, currently in progress, examines how migrants from the United States into the interior of Mexico between 1821 and 1853 laid the groundwork for future U.S. informal empire in that country and, eventually, across Latin America. I’ve begun a website to accompany my dissertation. I also have built a database of U.S. citizen claims against Mexico and have blogged on various pieces that will likely come together into my dissertation. I’ve spent my career to-date at the intersection of academic, digital, and public history. I began with three stints as a history interpreter at the Alamo, in my hometown of San Antonio, Texas, and spent 10 months as a Peace Corps volunteer in San Lorenzo, a village of 500 outside of Sensuntepeque, El Salvador. I moved to Washington to attend the graduate program in Museum Studies at The George Washington University. While working on my M.A., I tutored students at an education center, interned at the Library of Congress Moving Image Section and Supreme Court Office of the Curator, and processed archival collections at Gelman Library’s Special Collections. I worked as an exhibition content developer at The Design Minds, Inc., and in a broad-ranging interpretive position at the Jewish Historical Society of Greater Washington before joining the staff at Ford’s Theatre in October 2013. Since then, I’ve served as Digital Projects Manager (October 2013-September 2015), Associate Director for Digital Resources (September 2015-September 2016), and Associate Director for Interpretive Resources (September 2016-present). All views expressed on this site, my social media presence, and any of my other websites are my own, expressed on my own time and dime, and do not reflect those of my employer or any other group with which I am affiliated. I just bought a slide scanner and plan to scan my PC El Salvador slides in the near future. When I have them in a digital format, I will send a set to you. I have read several of your blogs and essays and enjoyed them. I also shared with my students in Mexico.